This clever little kit contains twelve tear-out letters (which fold into envelopes) with short prompts - and "Open when you're looking for inspiration...," "Open when you need a pep talk...," "Open when you need a good laugh..." - inviting you to share your encouragement and advice with friends and relatives near and far. 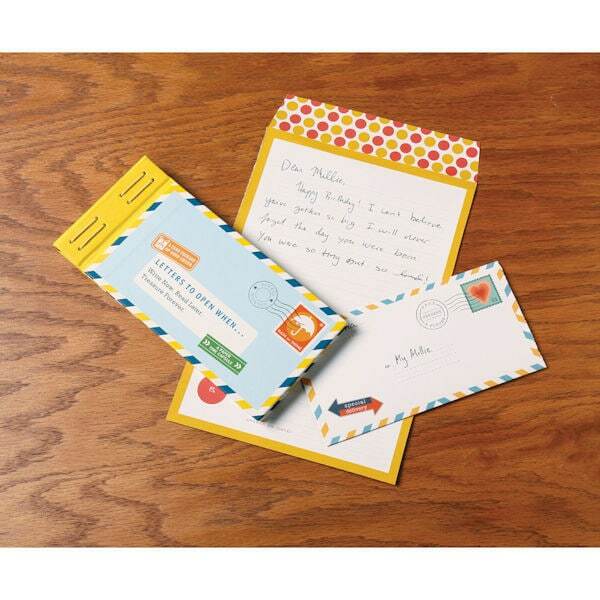 Once complete, seal the envelope with the included stickers, add a stamp and the recipient's address, then send your wise words on their way (or tuck the missives away for a very special future gift)! What a wonderful way to offer love and support across the miles.